Up to 80 young men and women aged 14-18 years from The Church of Jesus Christ of Latter Day Saints in the Northampton Stake made a wild flower bed by the Boat Lake in Abington Park, Northampton for a special Helping Hands activity day of service in the community. They worked tirelessly for several hours to complete the project which is now appreciated by the local neighbourhood. On the Saturday afternoon the Mayor and Mayoress of Northampton, Cllr Chris and Lynne Malpas, joined the teenagers for the opening of the wild flowerbed and awarded each youth a ‘mayor bear’ badge. 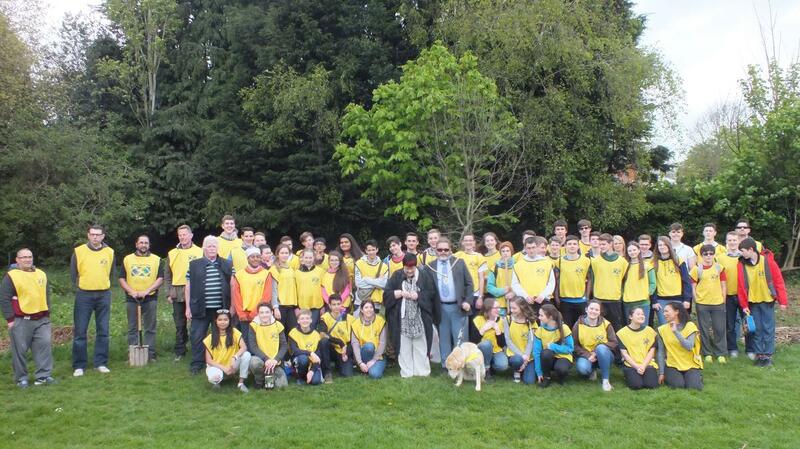 Jed Waddington, Stake YM President commented, ‘We are so proud of the youth for volunteering to help in a local park, representing the church through their Christlike example.’ Mayor and Mayoress had previously attended the Sunday session of Stake Conference earlier in January and were impressed by the number of youth in attendance.